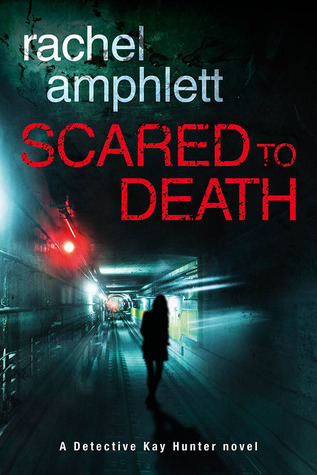 Now there is no holding back with Rachel Amphlett as she drops you straight into a terrible dilemma, a race against time, a race of life or death. Fear takes hold of you as you are not quite sure what is happening, tempers are frayed and it is impossible to think. A wrong turn OMG they are there but then it takes your breath and leaves you stunned. The horror because they are too late. Their child is dead. So many questions flood your mind and you feel so outraged. So many emotions at what you have just witnessed. A family destroyed because you can not heal from something like this. They had done everything that had been asked of them….. hadn’t they? Why them? and why their child? Then the wickedness of this terrible crime claims another victim. Oh my what a tremendous opening to not only a new book but a completely new series. First chapter in and I am like yep just don’t talk to me for the next few hours, and I carry on reading. Rachel Amphlett wowed me over and over with this novel as she manipulated all of my emotions like I was some sort of play doh person that could be screwed up and reconstructed again. I had to continually re evaluate my judgement of peoples characters, as I am the most gullible of people, and by the time I came out I this novel I think I was some sort of dribbling rambling person that just had to tell everyone to read this book. What a heart breaking journey this was. I can not say that I warmed and gelled with all of the characters, like I say my feelings towards some people were continually changing but one character that just continued to grow on me throughout the book was detective Kay Hunter. Yes, yes she has her ups and downs in her private life, which I really want to find out more about as the series goes on, but what a brilliant sassy lady she is. It has been a tremendous pleasure to take part in this Blog Tour, I am so thrilled that I was invited. Thank you. 😀 Great review for what it seems like an awesome book!